As you might know, we have a passion for the city and the people of Detroit. 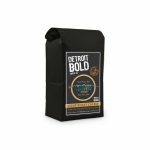 Three years ago, Detroit Bold chose to support Forgotten Harvest by donating a portion of the proceeds back to this incredible cause. Good food shouldn’t be wasted while good people go hungry. 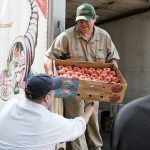 Forgotten Harvest rescued, harvested and distributed 48.8 million pounds of food this past year. They did this by collecting surplus, prepared and perishable food from a variety of sources such as grocery stores, restaurants, caterers, dairies, farmers, wholesale food distributors, and other Health Department-approved sources. Is this the best Thanksgiving coffee? Oh yeah!! We blend two types of Forgotten Harvest handcrafted roasts; a light roast and a dark roast. We chose these blends because they go perfectly with the cool Fall weather. The light and dark roasts are a perfect hit for get-togethers with friends & family. You can enjoy this seasonal blend of coffee right now! Stock up with extras knowing it’s a perfect holiday blend & you are supporting a great cause with every sip you take! Forgotten Harvest Light Roast on sale now! Forgotten Harvest Dark Roast on sale now! Please volunteer or donate to this great cause!